Everyone is a star walking through the lobby of this extraordinary and priceless Los Angeles Landmark. It is rare to find an architectural treasure in Southern California equal to the Millenium Biltmore Hotel. The Biltmore opened its doors in 1923 and resembled in grandeur its architectural rivals in other parts of the country. It was one of the largest hotels west of Chicago, and it has been a Los Angeles Landmark since 1969. The hotel has had a loyal following throughout its history. Its proximity to the downtown business district, performance halls and museums, makes it a top luxury destination for business or leisure. Designed by New York architects Schultze and Weaver, whose work also included the Waldorf Astoria Hotel and Biltmore hotels in other cities. The design objective for the new Los Angeles hotel was that it reflect a Spanish-Mediterranean style and be historically compatable with its California location. This Mediterranean influence can be seen throughout the building in the pronounced carvings on wooden columns and doorways, painted and exposed wood-framed roofs, and ornate cast iron railings. The focal point of the interior public spaces, featuring many of these architectural details, is the Rendezvous Court. 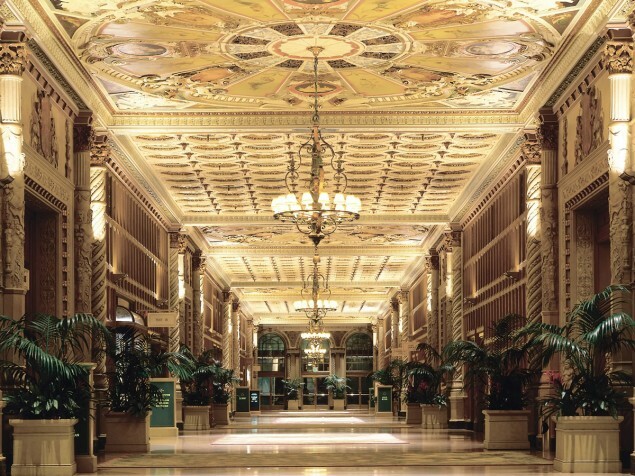 The entrance lobby is also a richly detailed space that has “starred” in several feature films. 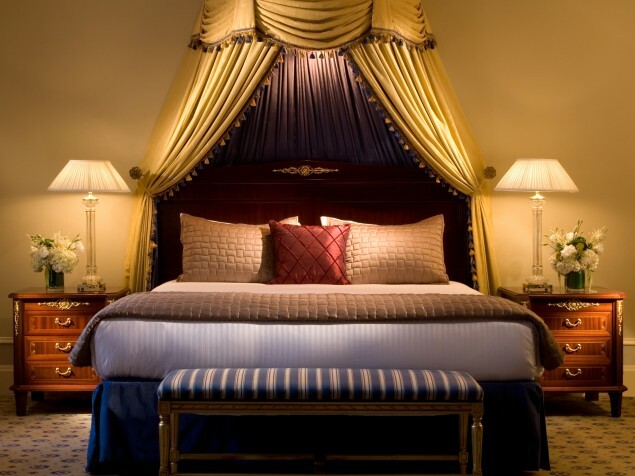 The Biltmore has 683 rooms and 76 suites. There are two restaurants: Smiraldi’s, offering Italian and Continental cuisine, and Sai Sai Noodle Bar, with its unique menu of Vietnamese and Japanese noodle-based meals. Both restaurants have a casual contemporary setting, reflecting the Southern California lifestyle. Informal dining and afternoon tea are served in the Rendezvous Court. 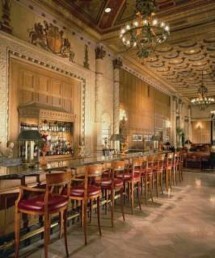 The Gallery Bar and Cognac Room is a longtime favorite of the Downtown Los Angeles crowd. 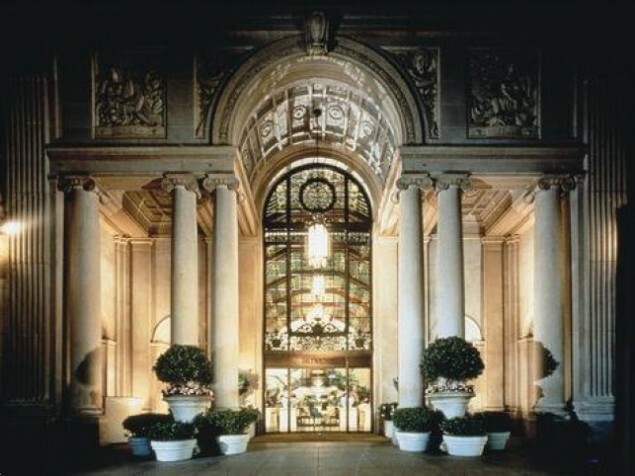 It is a stunning historic space that epitomizes the glamour of the 1920s. The bar offers live music on weekends. 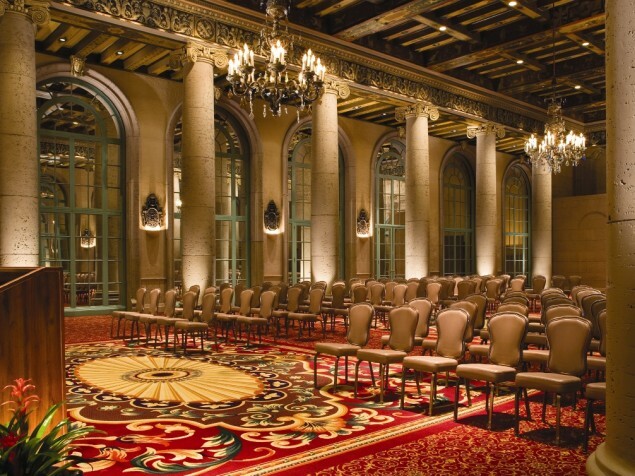 The Millenium Biltmore offers several spectacular historic meeting and event spaces. 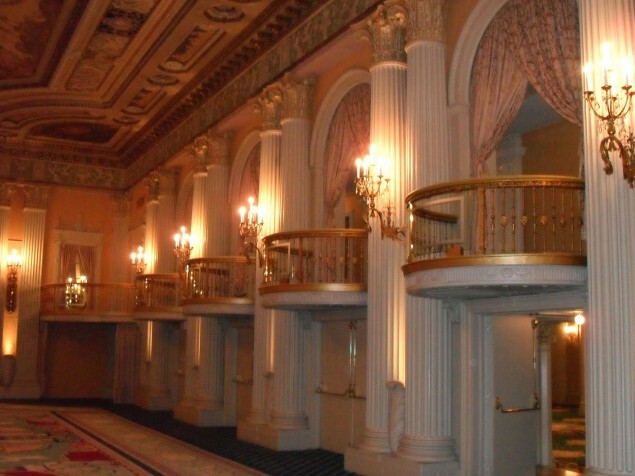 The famous Crystal Ballroom is “as good as it gets” and is a favorite for Hollywood gatherings and black-tie affairs. It is a glittering, elegant space, with hand painted ceilings, individual theater-style balconies, and Austrian crystal chandeliers. This room is referred to as ” the home of Oscar,” as this was where the Academy of Motion Pictures Arts & Sciences had its founding banquet in 1927. 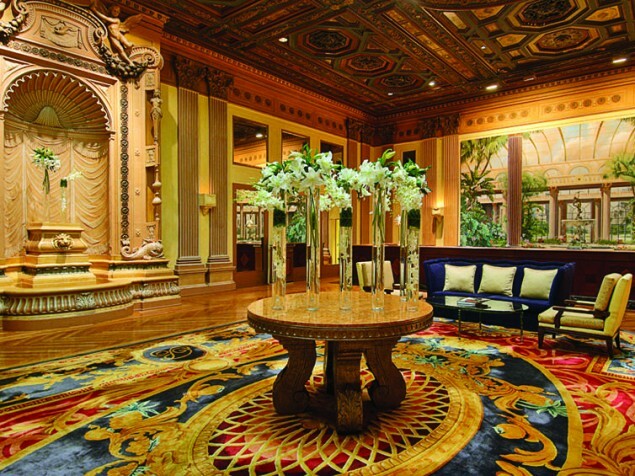 There is nothing in Southern California that matches the grandeur of the Biltmore. For those of us who live or grew up there, we will forever be proud of this Los Angeles architectural masterpiece.